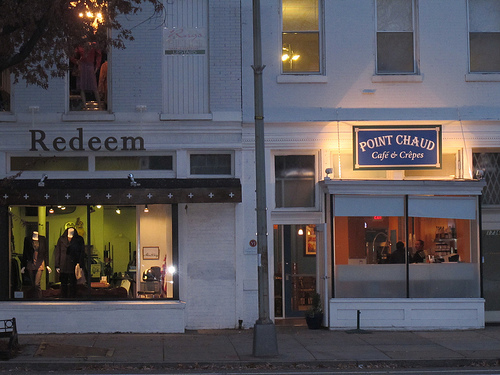 The Point Chaud downtown location will open up at 1012 14th St, NW (between K and L). Readers had noted a coming soon sign since this summer but it now looks very close to opening (see photo above). I’m guessing this will be a very popular lunch spot soon. 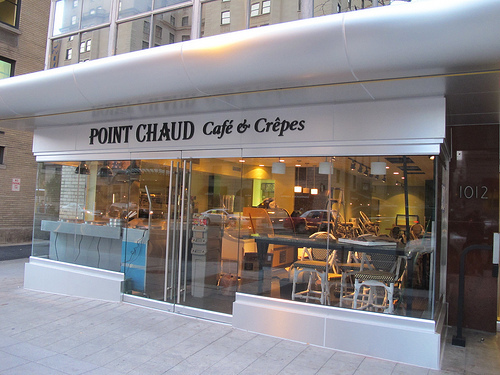 Point Chaud is of course the very popular crepe spot that opened in Logan Circle at at 1734 14th Street, NW back in June (see photo below).